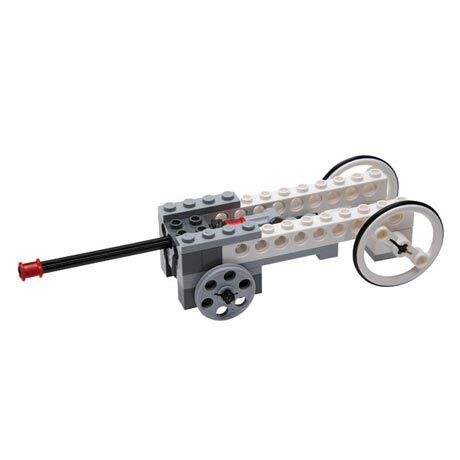 Clear instructions, step-by-step diagrams, 150 LEGO bricks and rubber bands, gears and axles. 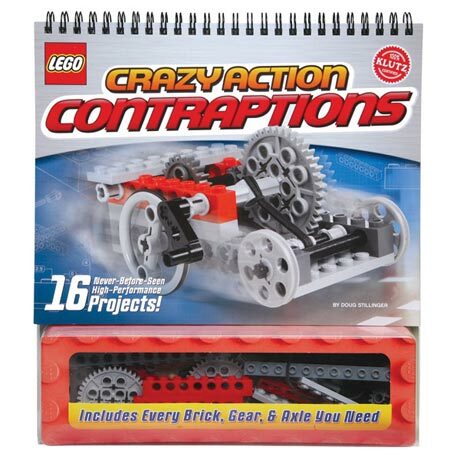 16 projects that result in crazy contraptions that spin, stretch or speed. How about a Wall Rocket Racer or a Squeezeclaw Grabber? It's all here. Ages 7 and up. LEGO, the LEGO logo, the Brick, and the Knob configuration are trademarks of the LEGO Group. ©2008 The LEGO Group. 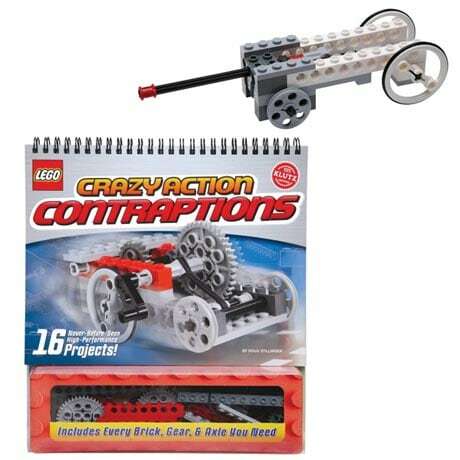 Produced by Klutz under license from the LEGO Group.